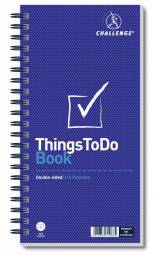 Q-Connect Wirebound Things to Do Today Book 150x280mm KF01339 Pack of 1 S Star Spiral Bound Things To Do Pad. Features include a daily planner on each page, with space for listing 20 tasks which can be ticked when completed. 115 perforated sheets per book. 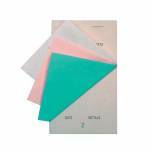 Q-Connect Petty Cash Voucher Pad 125x101mm (Pack of 10) KF00103 Pack of 10 Vouchers for cash payments. Top quality white paper. Hardback cover for sturdy surface. Pre-printed with date, cash amount, signature etc. 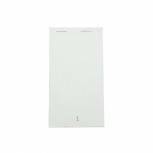 100 sheets per pad, pack of 10 pads. 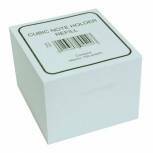 Q-Connect Memo Box Refill 750 Sheets KF01119 Pack of 1 Q-Connect Refill Block for the Q-Connect Memo Box. 750 sheets of 90x90mm White paper. 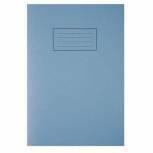 Silvine Exercise Book A4 Ruled with Margin Blue (Pack of 10) EX108 Pack of 10 Silvine A4 Exercise Books with blue manilla covers and educational grade 75gsm paper. 80 pages per book. Ruled with margin. Challenge Wirebound Things To Do Today Pad 280x141mm 100080050 Pack of 1 Challenge Things to Do Today pad with printed pages with priority settings. Wire binding enables the book to be laid flat for ease of use. Perforated sheets for easy clean tear. 280 x 152mm. 115 pages. 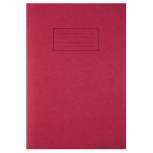 Silvine Exercise Book A4 Ruled with Margin Red (Pack of 10) EX107 Pack of 10 Silvine A4 Exercise Books with red manilla covers and educational grade 75gsm paper. 80 pages per book. Ruled with margin. 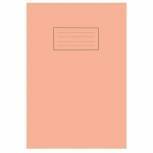 Silvine Elasticated Headbound Pocket Notebook 160 Pages 82x127mm (Pack of 12) 190 Pack of 12 Elasticated pocket notebook. 160 pages. Quality lined paper. Stiff black covers. Handy for note taking on the move. Size 78 x 127mm. Pack of 12. 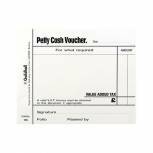 Guildhall Petty Cash Pad 100 Leaves 127x102mm White (Pack of 5) 103 1569 Pack of 5 Justso Petty Cash Voucher Pad. Each pad has 100 sheets of pre-printed White vouchers, Size: 127x101mm (5x 4). 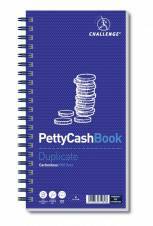 Challenge Petty Cash Book 200 Duplicate Slips 280x141mm 100080052 Pack of 1 Petty cash book ideal for recording transactions. Carbonless format in duplicate. Colour coded with white top copy and Blue duplicate copy. Four message sets per page. 200 duplicate slips. Wire binding enables the book to lie flat. 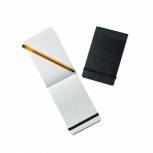 Prestige Duplicate Restaurant Pad Small (Pack of 50) PAD 15 Pack of 50 Duplicate restaurant pad with carbon. Simply slide the carbon in the front cover between the sheets and a copy is produced. 140x 76mm. Pack 50. 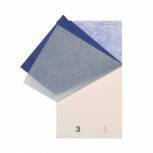 Prestige Triplicate Service Pad Large (Pack of 50) PAD200 Pack of 50 NCR pad. 50 leaves in triplicate. 165 x 95mm. Numbered consecutively 1 - 50 in red. White top sheet. Coloured 2nd and 3rd sheet. 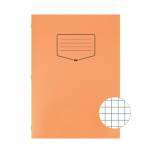 Silvine Exercise Book A4 5mm Squares Orange (Pack of 10) EX113 Pack of 10 Silvine A4 Exercise Books with orange manilla covers and educational grade 75gsm paper. 80 pages per book. Ruling - 5mm squares. 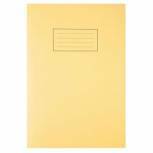 Silvine Exercise Book A4 Ruled with Margin Yellow (Pack of 10) EX109 Pack of 10 Silvine A4 Exercise Books with yellow manilla covers and educational grade 75gsm paper. 80 pages per book. Ruled with margin. 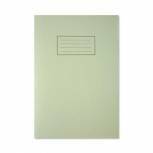 Silvine Exercise Book A4 Ruled with Margin Green (Pack of 10) EX110 Pack of 10 Silvine A4 Exercise Books with green manilla covers and educational grade 75gsm paper. 80 pages per book. Ruled with margin. Silvine Exercise Book A4 Ruled with Margin Purple (Pack of 10) EX111 Pack of 10 Silvine A4 Exercise Books with purple manilla covers and educational grade 75gsm paper. 80 pages per book. Ruled with margin. 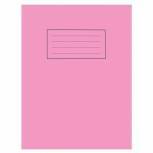 Silvine Academic Planner and Record A4 Blue EX202 Pack of 1 Teacher's academic planner and record. Durable polypropylene outer covers. Sections include: duties, meetings, expenses, timetables. 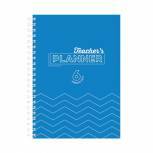 204 teaching day planner pages. Grade section for 40 names. Fold out academic year planner. 6 period day. Blue. A4. 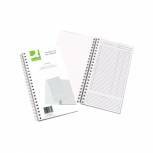 White Duplicate Service Pad Small (Pack of 50) PAD 20 Pack of 50 140x76mm end fold duplicate sheets numbered 1-50, both sheet perforated. No carbon required. Pack 50. 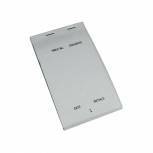 Prestige Duplicate Service Pad Large (Pack of 50) PAD 35 Pack of 50 Service pad for use in restaurants, cafes and takeaways. 50 numbered pages. 5.5 inch tear-off strip for orders. 1 inch counterfoil retained on pad for easy record. 50 carbonless copy slips for instant duplicate. Large pad size: 165x95mm.